Submitted by Allyson Woodard on 11 September 2018. Update: What have I been up to since Alaska? It’s been a few weeks since I returned from Alaska, so I thought I’d check in and let everybody know what I’ve been up to. It’s all good things, but there are a lot of them! 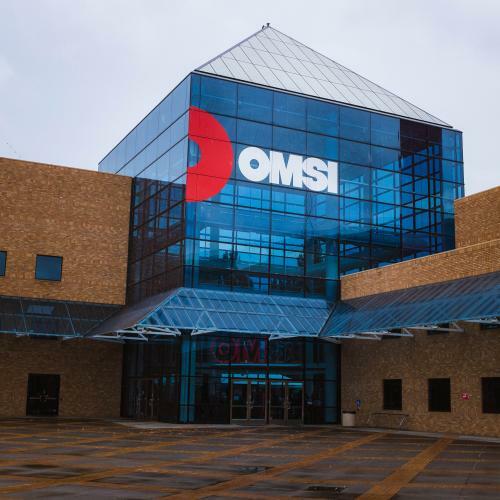 First off, I returned to my office at OMSI (the science museum in Portland where I work) in the middle of grant season. I am serving as the writer on a new exhibit proposal we are submitting to the National Science Foundation. Grants like this are a lot of work…the way I like to explain it is that not only are you writing a 20 page research paper, you’re doing it in a large collaborative team and you have to personally connect with the experts you cite, get them to support you, and articulate a 4-to-5 year project that is innovative, interesting for museum visitors, appealing to your museum’s leadership, and achievable within a tight budget. It’s a lot. My head hurts. The good news, though, is that I am super excited about this project, so it all feels like worthwhile work. I also have great mentors and leadership—I’m working with folks who are at the cutting edge of climate communication, so I’m learning a lot and I feel pretty hopeful and energized. This is where I work! It's already raining here. This is the part where I plug our partners' work! This is completely genuine. I remember when I was a graduate student in environmental studies, I was frustrated because I could find a lot of information on how not to talk about climate change (e.g. don’t use fear), but I searched and searched and couldn’t find an alternative roadmap that I was happy with. A few years later, while I was developing our exhibit about permafrost, I started hearing about a collection of zoos, aquariums, and museums that call themselves NNOCCI (National Network for Ocean and Climate Change Interpretation). Finding NNOCCI was like hitting the jackpot. If you are at all concerned about climate change, I would highly recommend that you check out this (free!) online tutorial by NNOCCI’s partner, the Frameworks Academy. It’s a crash course into how to engage people in productive, non-partisan conversations about climate change (spoiler: we’re all doing it wrong! Hahaha). I honestly think that talking about climate change well and often is the best thing most of us can do to build momentum for its solutions. Other than grant writing, I’ve been doing a lot of thinking about how to channel my PolarTREC experience into outreach. I want to do something with the photography I’ve been posting here to supplement our permafrost exhibit, and I have a few ideas...again, stay tuned (and if you have ideas, get in touch because I'd love to collaborate!). Kim Young, another PolarTREC educator, is visiting OMSI on Friday so that we can put our heads together on her way back home from the field. I'm excited to see what creative ideas we can come up with. I miss Nikolai. It’s weird that I was only there for a week, because I fell hard for that corner of Alaska and the community that welcomed me there. It was a hard place to leave. 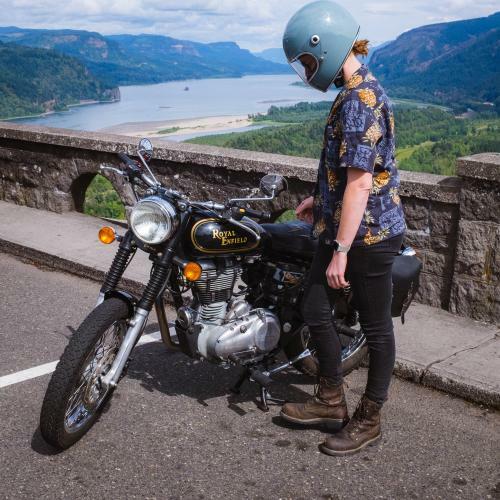 This past weekend my girlfriend bought a motorcycle, and I’ve noticed that while we’re riding around on it, other motorcyclists always wave in acknowledgment. It’s a little social custom that I had no idea existed, and it reminds me of the friendly (and mandatory) acknowledgment that people give each other in Nikolai: when you pass on a road, you wave. I like this reminder. Nikolai feels very far away right now, living in a city, but I think often about how grateful I am for the personal connections I made there. I hope I find an opportunity to return. 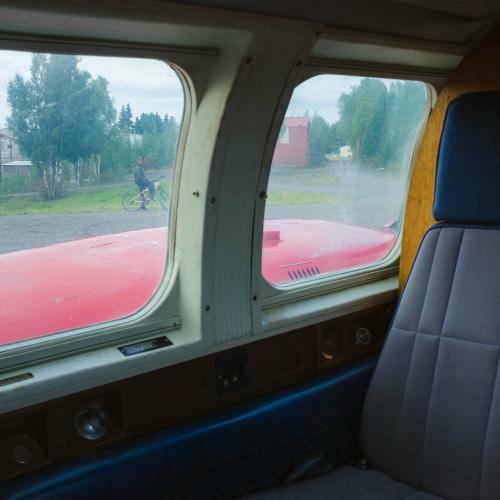 Feeling melancholy as the plane departs from Nikolai. Not a bad way to come home, though. My cute little Fuji in the field. 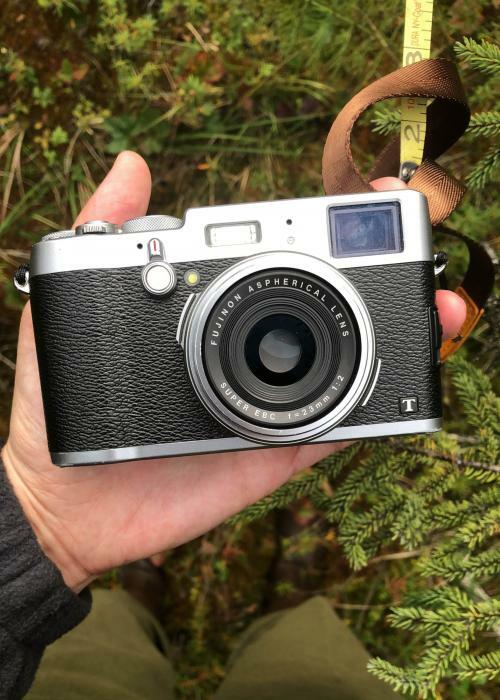 Within the past few years, Fuji has started making these little nostalgic-looking mirrorless digital cameras. I like the image quality that comes out of it better than that from my Canon, but more importantly, it’s lightweight and it's way less intimidating. When I’m not shoving a massive camera in people’s faces, it’s so much more comfortable for everybody involved. The only problem is I can’t switch lenses on this camera, so I can’t use it for everything (e.g. I can't do great video or shoot an event). So, I’m in the process of selling all my Canon gear to fund the switch to Fuji, and I'm buying a second mirrorless camera that supports interchangeable lenses. 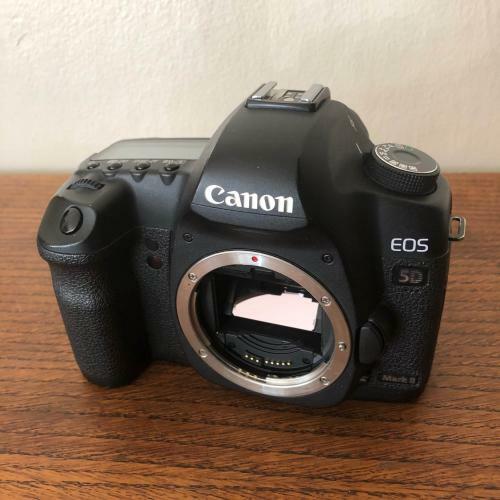 It feels silly to be so emotional about selling my Canon, but it was the camera that got me started, so it's hard to let go of. It's time to move on, though. Thanks for the push in this direction, Nikolai. I'll miss you pal. Thanks for everything.